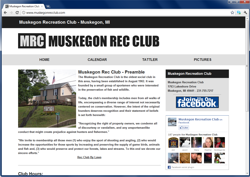 I started www.muskegonrecclub.com in late 2010 and had the honor of building their website from the ground up. 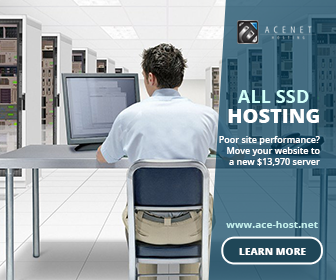 The site is built with a combination of PHP and HTML, it has a very sleek website design with clean lines and a great use of contrasting colors. Every month the board of the club puts out a newsletter called the Tattler, which is of course represented on the website. There are links on every page of the website to the club’s Facebook page. The function of their website overall is to bring the Tattler and calendar of events to the membership of the club. It is of course at least slightly used to advertise for the club, but a private club only needs a small amount of advertisement to stay running. One of the board members handles the uploading of the pictures, so I went with a great tie in of the site and Facebook to allow that to seem truly seamless. The majority of the membership of the club are Facebook users, so the social integration and participation are excellent. The overall design of the website is very traditional, which fits well with the overall vibe of the business and stays true to what the membership of the club would like to see. I like this project because I am a member, so I am able to go to the board meetings and speak first hand with the actual people that use the website on a regular basis.